Are you ready to play like a kid again? 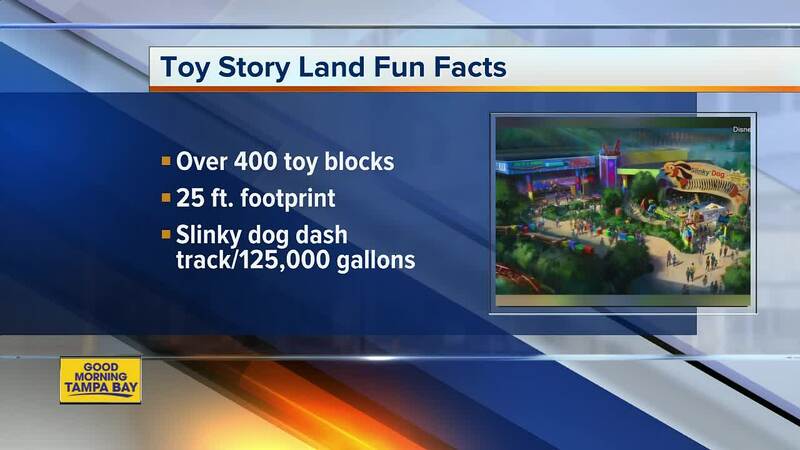 Toy Story Land is coming to Disney's Hollywood Studios in Orlando and it is going to give guests the feeling that they've shrunk down to the size of a toy as they walk through Andy's backyard and hang out with Woody, Jessie, Buzz and Andy's other toys. Get ready to feel like a small part of Andy's world in this larger than life attraction. The new addition to Disney's Hollywood Studios is set to open on June 30, 2018. It would take a Green Army Man roughly 12 steps just to travel the length of one of Andy’s shoe-prints.